Dr. Catherine Steiner-Adair will discuss tech's effects on child development and families when she speaks Tuesday at Vail Mountain School. Information: Dr. Catherine Steiner-Adair will signing copies of her book following the presentation. For information contact Dr. Kate Drescher at kdrescher@vms.edu. 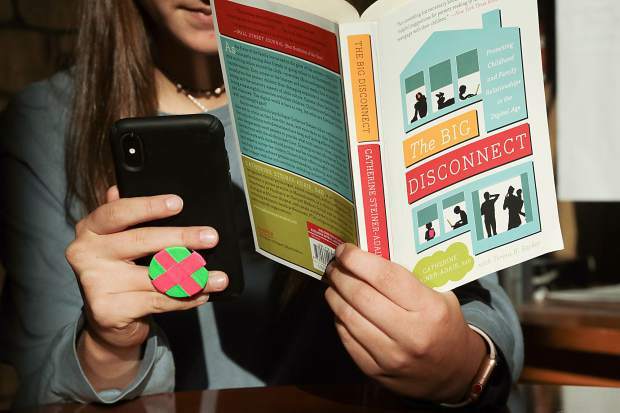 VAIL — An award-winning author and clinical psychologist says it’s getting tougher for families to unplug from screens and devices and connect with each other. Steiner-Adair will offer guidance for parents and educators who want to leverage the benefits of technology and reduce the risks it poses to child development. 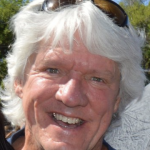 Besides psychology, Steiner-Adair is a school consultant and author whose work focuses on things that impact the healthy development of children. When she’s not writing and speaking, she’s a research associate in the Department of Psychiatry at Harvard Medical School and an associate psychologist at McLean Hospital outside Boston. Her book “The Big Disconnect” was among the Wall Street Journal’s Top 10 best non-fiction reads in 2013. Kate Drescher, Vail Mountain School’s staff psychologist, organized Adair’s presentation in partnership with Vail Health to help parents of school-age children who are struggling with balancing screen time and family time. Vail Health also collaborated with the Eagle River Youth Coalition to host the Eat Chat Parent series dedicated to mental health. “In these challenging times when we are striving to strike a balance in our use of technology and determine its effects on adults and children, it’s important to educate ourselves and each other,” Vail Health’s President and CEO Will Cook said.